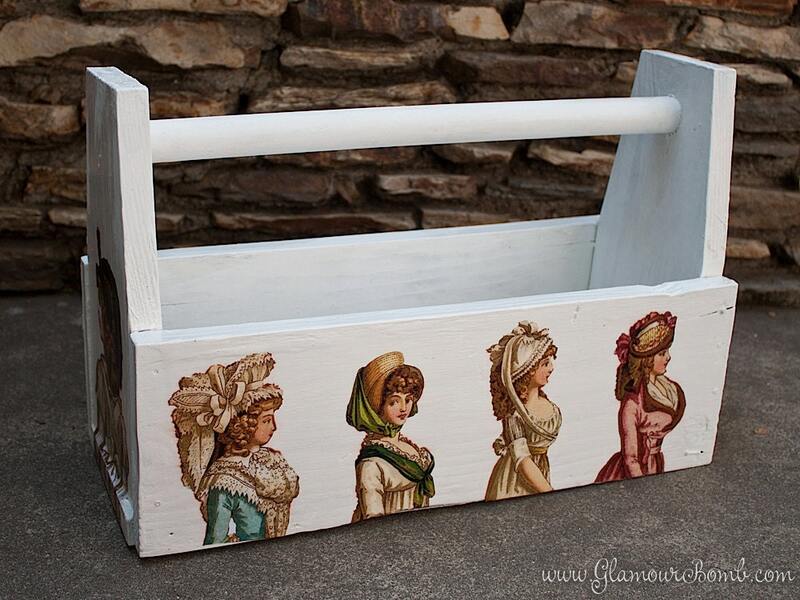 This pine wood tool caddy box with handle was hand painted white then decoupaged with ten Napoleonic ladies (all hand crafted by moi!). Finally, a light coating of varnish completes the piece. 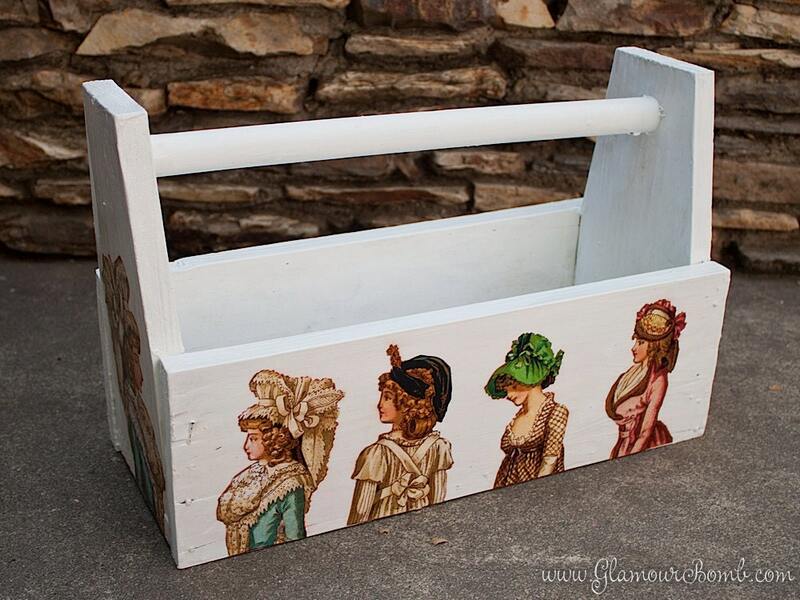 It's perfect as a planter or to store garden accessories, or use it on your desktop to stylishly store your office and craft supplies. These gorgeous vintage images are courtesy of the Graphics Fairy. Thanks, Karen! 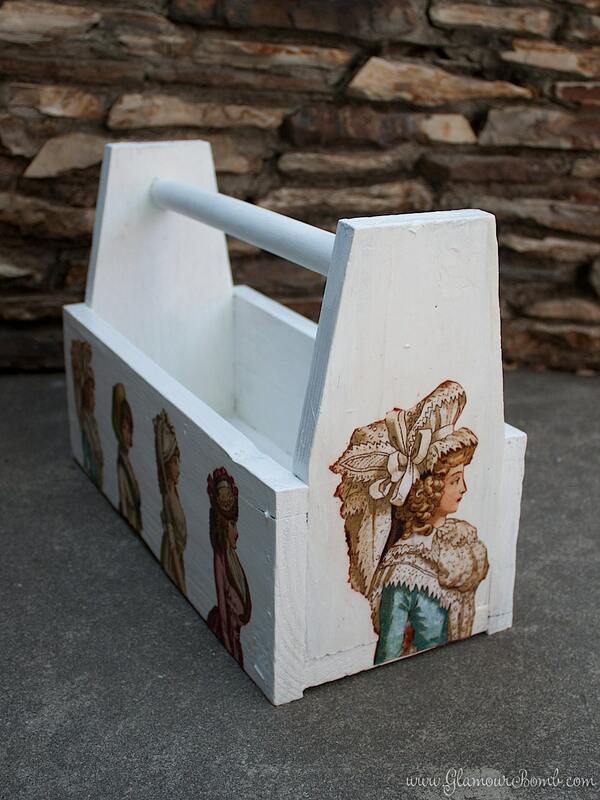 The caddy measures: 18 inches long, 7 inches wide and 5 1/2 inches tall (9 1/2 inches tall including the handle).